After competing for more than 50 years, the Augusta Margaret River Tourism Association and the Geographe Bay Tourism Association have joined forces to become Your Margaret River Region. As one united brand, we are better placed to promote our amazing corner of the world to a global audience. 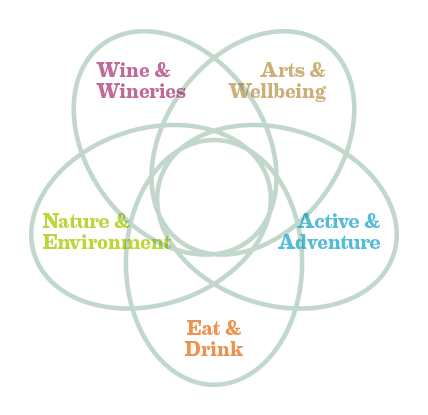 Within a small area, Your Margaret River Region offers an incredibly diverse range of experiences. You can spend your morning skydiving and be enjoying a degustation feast at a world-renowned winery by lunch, before an evening spent at a concert under the stars. Or you could just spend the whole day lying on the white sand of some of the world’s most pristine beaches. The Region offers you the opportunity to fill your day with as much, or as little, as you desire. We provide the experiences: you mix-and-match them into lasting memories. This is the message we are taking to the world, and we would love you to be part of it. Whether your ancestors have been part of this land for generations, or you are visiting only for a weekend, this place is yours. Yours to explore and create memories from because your experiences are our brand. 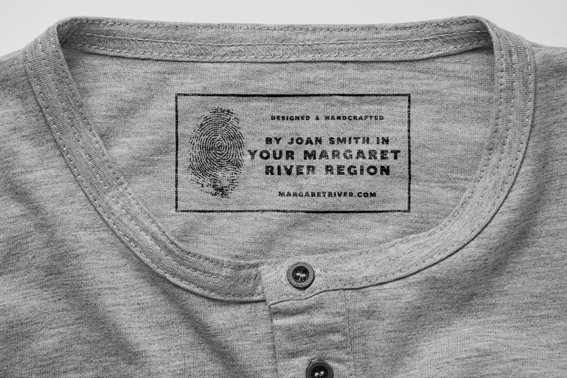 More than a logo, the Your Margaret River Region mark is the visual expression of an idea. It’s a symbol of individuals coming together to create unique memories and experiences in a very special part of the world. 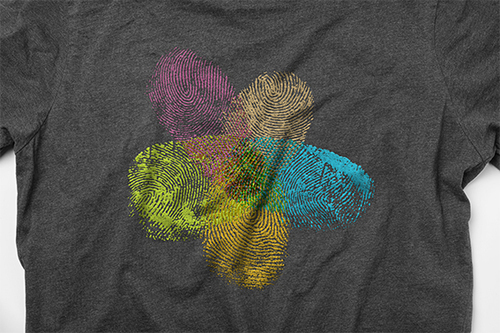 It has been created, quite literally, by the community, members of which have ‘donated’ their thumbprints to create the symbol in all its infinite variation. It is ever-changing, organic and unique. The YMRR mark is constructed of five thumbprints, from five individuals. each print represents one of five groups of experiences that can be had in the Region. These five prints meet in the centre of the mark, representing the Region as one of the very few places in the world where all of these experiences can be enjoyed. While the prints change, the structure remains the same, creating a symbol that expresses both the diversity and the connectedness of our community. The logo is unexpected, creative and ever-changing – much like the Region itself. As one strong organisation, the MRBTA is in an unprecedented position to invest in campaigns that deliver our message to local, national and international audiences – but you can help us take it even further. 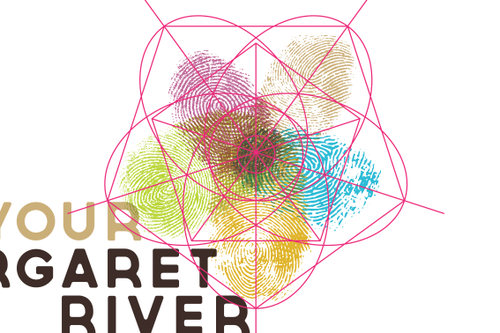 We’re describing the Your Margaret River Region brand as an ‘open-source’ brand; that is, a brand that you can develop just by taking it onboard and using in your own way. Together, we can go further. 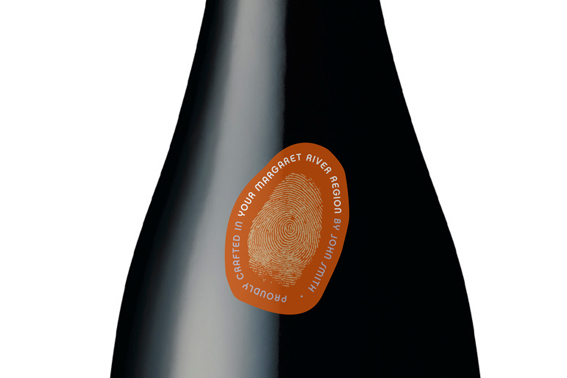 Whether it’s the print of your winemaker on every bottle you ship, or your chef’s print on the corner of your restaurant’s menu, or the owners’ prints at the top of your website, we ask you to express your pride in your product and region on everything you do. 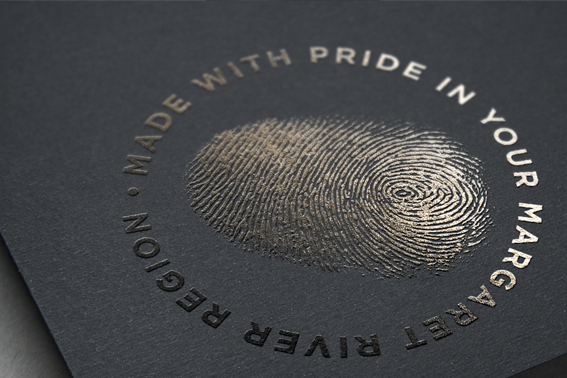 What does putting your print on your product tell the world? It is personal. It is creative. It is ‘us’. It tells the world that we are proud to be part of this incredible place in all it’s diversity. It allows our brand to live in the fridges, on the tables, on the computer screens and in the hands of an audience that is far wider than that we can reach just through the association’s marketing budget. 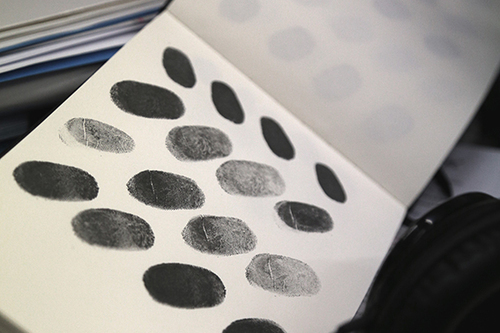 All you need to do is grab an ink pad, get a thumbprint (it can be left or right, we’re not going to discriminate), scan it, place some nice words next to it, in a style and colour befitting your aesthetic, and send it out into the world. What words should you use? 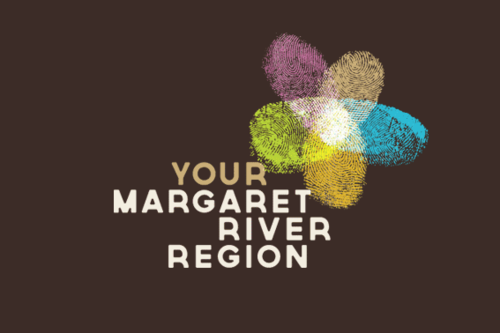 Again, that’s up to you, but what would be great is to include the words ‘Your Margaret River Region’ (please note the capitalisation) and, if space allows our MargaretRiver.com url (or, if its online, linking to MargaretRiver.com). It is something that everyone from the Region can do – from the accountant to the farmer to the artist – every wonderful experience someone has of our region, is the best ad we can make. If you feel that there may be the need for you to use the ‘official’ YMRR logo, please shoot us an email and we can help you out.